Everyone who has been diving out of Playas del Coco, Costa Rica has their own story. Whether it is seeing the biggest sea turtle you have ever seen come out of a hidden canyon on the back side of the Bat Islands, coming upon a group of adolescent Humpback Whales with their Mother calling in the distance out at Santa Elena Point, being engulfed by a huge school of fish only to have them instantly disappear upon the arrival of a pod of Dolphins, diving with your first Giant Manta Ray or Whale Shark or coming upon a friendly Sea Horse on one of the local dive sites…well the list goes on. They say once you come to this area you always come back – well they must be talking about the Divers. Sitting on the breadbasket of the Ocean, the Gulf of Papagayo is home to just about every warm water sea creature known. This isn’t the Caribbean baby this is the mighty Pacific Ocean. 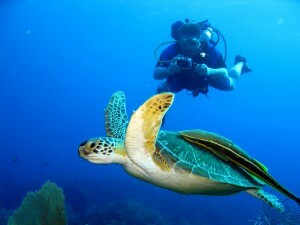 In 2005 we had just sold our Dive Center on Curacao in the Caribbean and went for a well-deserved vacation to Costa Rica. 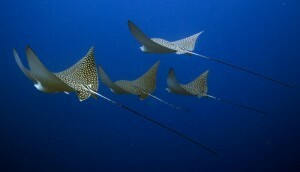 As avid divers we found Playas del Coco (the best place in Costa Rica to dive) and our first dive was to the Bat islands. At 30 meters deep we were surrounded by bull sharks! Once back on shore we decided we wanted more of this and ended up buying the Rich Coast Diving Dive Shop. Rich Coast was a PADI dive center which catered to divers and students. On December 1st, 2005, we became proud owners with a mission – to change this dive shop in to a professional dive center. 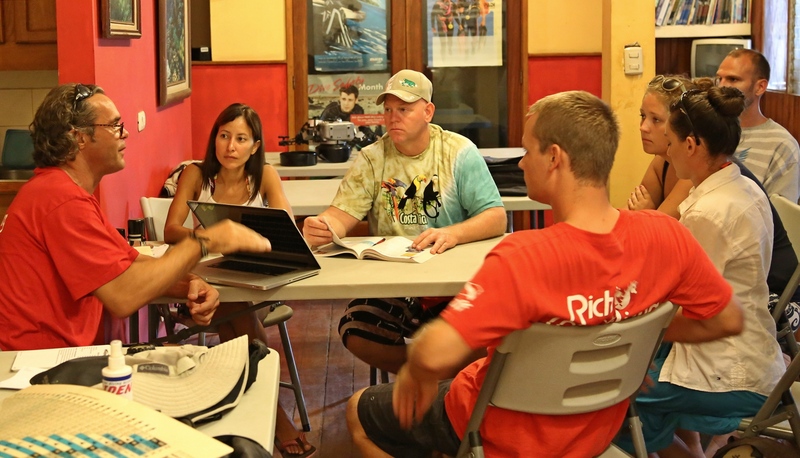 In 2008 we became a PADI IDC center and started training instructors. In 2012 we made another big step. 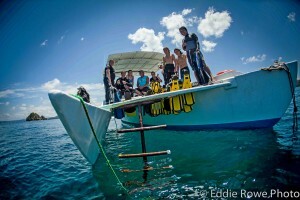 We added another course director and became a PADI Career Development Center (CDC) with technical diving. Right now Rich Coast Diving is the only CDC facility in Costa Rica with the highest level of training available in the PADI system. 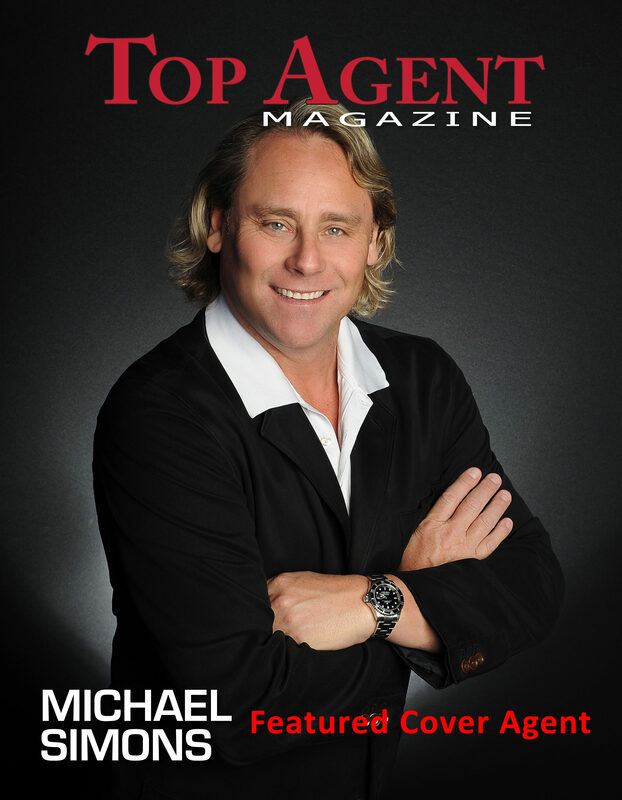 All our instructors are carefully selected and trained so we all teach according to the same high standards. Training starts at 10 years of age and it doesn’t matter if you have never tried to Scuba Dive, our instructors will take very good care and introduce you to the underwater world. Once you have been down into our magical underwater world, you will love the experience and want more. 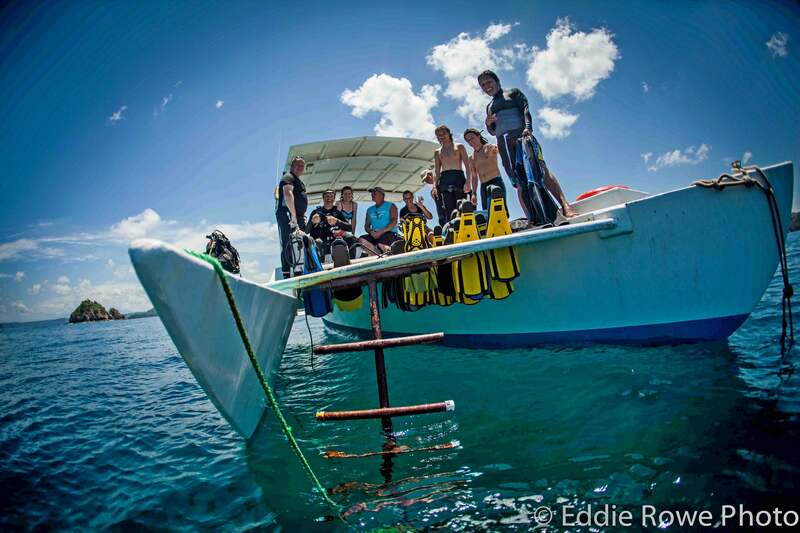 Of course we also welcome fun divers who will be guided by one of our Divemasters or Instructors. We dive in small groups of 4 on the most comfortable boats in Playas del Coco. Our boats leave every day at 8:30am for 2 tank dives to one of our many local dive sites suitable for beginners up to advanced divers. During the surface interval our guides will supply you with refreshments, cookies and delicious Costa Rican Pineapple! 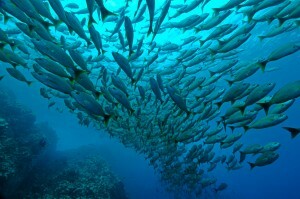 The Pacific does not always have the best visibility but the marine life sure makes up for it! 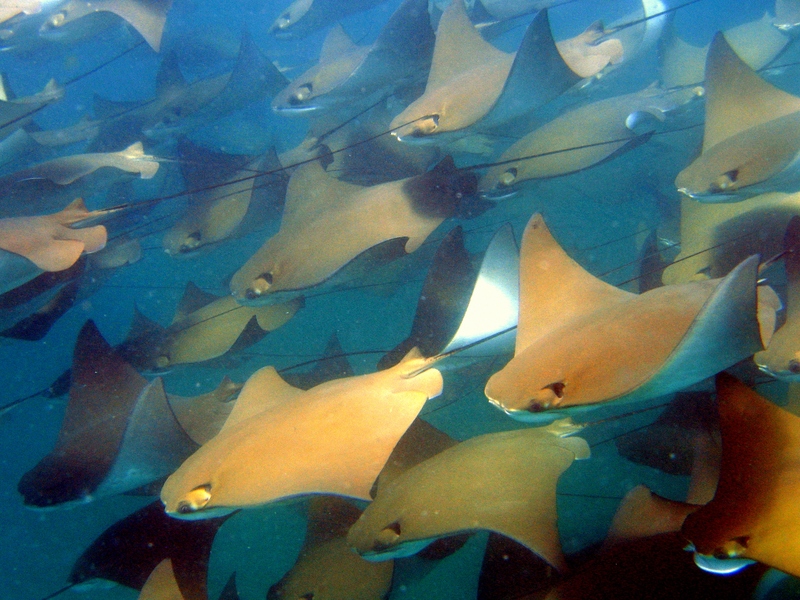 Shark encounters are almost daily and this area is infested with all types of Rays – Manta, Stingrays, Bull Rays and Spotted Eagle Rays to name a few. Big schools of fish will move in front of your bubbles as loads of puffer fish will move towards the volcanic rock formations. Remember coral formations do not abound, but the volcanic rock is home to the most amazing small creatures, from shrimp to nudibranchs, big moray eels and octopi. The Local Dive sites are great year round. The Catalina Islands are a must from November till May, where you will have the best chance to see the giant mantas at their cleaning stations. If you are in for an adventure, from May till November it is Bat Islands time. 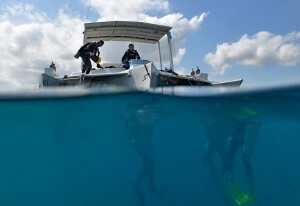 This is an advanced dive and we do require you to do a local dive first to make sure you are to the level required. 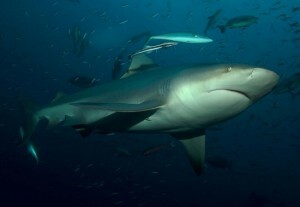 It is a free descent to 30 meters where you will most likely enjoy superb Bull Shark sightings. As you can see we have a great variety and it sure is one of the best places I have been diving in the world. Every dive has a new surprise…. 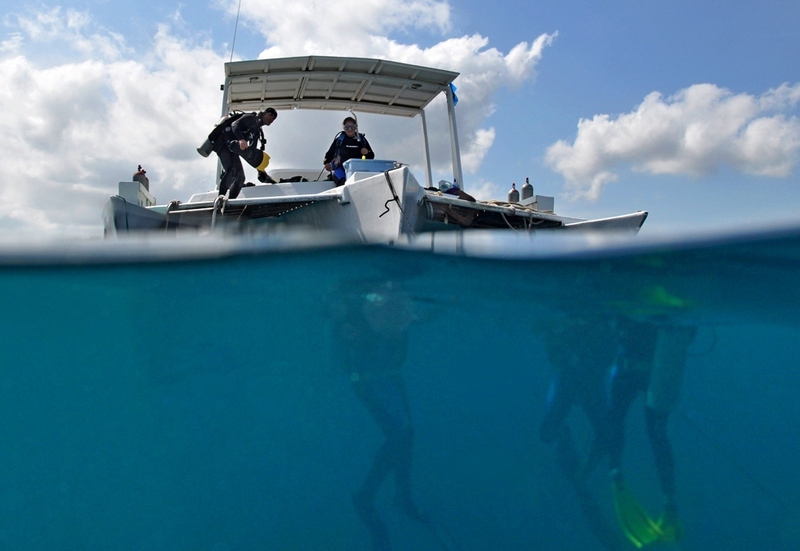 Tortuga: One of our most popular local dive sites. A 10 minute boat ride gets you to this wonderful dive heaven. This side is good for beginners and advanced divers alike. There is a nice wreck at about 20 /23 Meters depth. The wreck is small but has loads of sea life and we usually encounter white tip reef sharks giving the underwater photographers great opportunities to bring home a few trophy shots. Bat islands: A divers dream. This is for advanced divers and about an hour boat ride from Playas del Coco. Sea can be rough, waves can be high, currents can be strong, but it is all worth it as nothing beats the encounter with the magnificent Bull Shark. 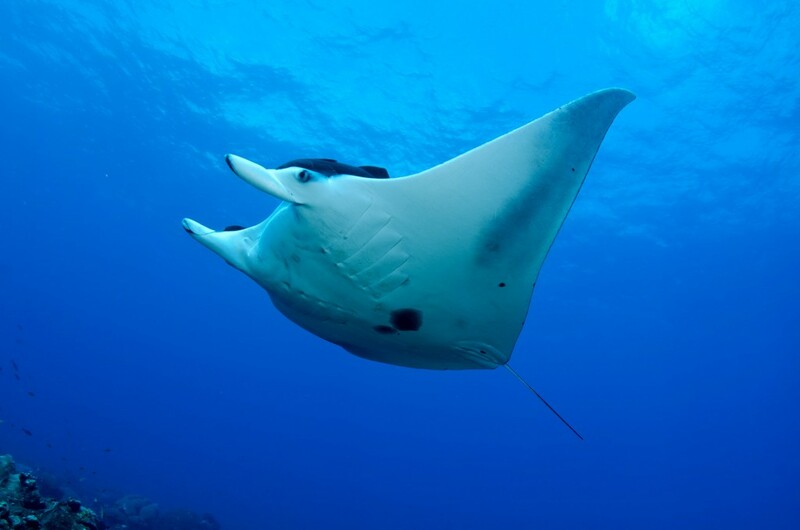 Catalina Islands: Who does not want to witness the cleaning of a Giant Manta Ray? These humongous creatures will hover above the reef and have the tiny fish clean their bellies. If you are lucky they will buddy up with you during your dive and hover above you to get tickled by your bubbles. If you are diving there and it gets a bit dark, make sure to look up because for sure you will have an “upper” buddy enjoying your bubbles.